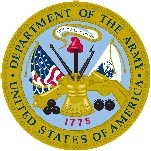 The nomination of Eric K. Fanning, the under secretary of the Army, to be Secretary of the Army, was announced on Sept. 18, 2015. The U.S. Senate confirmed Fanning for that post on May 17, 2016, making him the first openly gay civilian head of an armed forces branch. Fanning was born in Kalamazoo, Mich., on July 2, 1968. He was educated at the Cranbrook School, the prestigious private school that previously was attended by Mitt Romney, but graduated from Centerville High School, a public school in western Ohio, in 1986. Fanning went to Dartmouth, intending to become an architect. However, he was bit by the politics bug during the 1988 presidential primaries and moved in that direction. He graduated from Dartmouth in 1990 with a B.A. in history. The following year Fanning landed a job as a research assistant for the House Armed Services Committee. In 1993, he moved over to the Executive Branch as a special assistant in the office of the Secretary of Defense. Fanning remained there until 1996, when he served for a short time as associate director of political affairs at the Clinton White House. Fanning gave up politics for journalism in 1997, working on the national and foreign assignment desks for CBS News in New York. He left CBS the following year and went to work for the public relations firm of Robinson, Lerer & Montgomery. In 2001, Fanning was named senior vice president of a think tank, Business Executives for National Security (BENS). The organization works to apply business solutions to the problems of defense and Fanning was in charge of its foreign programs. He left that post in 2006 and went to work for another communications firm, this time as managing director of CMG. Beginning in 2008, Fanning was deputy director of the Committee on the Prevention of Weapons of Mass Destruction Proliferation and Terrorism. The group, chaired by former Florida Senator Bob Graham (D), was an outgrowth of the 9/11 Commission and assessed activities aimed at preventing WMD proliferation and made recommendations for achieving that goal. In 2009, Fanning was named deputy under secretary of the Navy, where he worked to bring efficiencies to the service’s processes, something he also did at BENS. He moved over to the Air Force in 2013 as under secretary and for the last half of that year served as acting secretary when that post was vacant. When Ashton Carter was assuming the role of Defense Secretary in early 2015, Fanning worked as his chief of staff and led Carter’s transition team. He moved from there to a spot as interim under secretary of the Army on June 30 that year and was nominated to be secretary after John McHugh announced he was stepping down.